We are a team of registered nurses and health care assistants with specialised training in all aspects of Palliative and End of Life Care. We will work with your key worker to ensure you feel comfortable and safely cared for. At The Shakespeare Hospice, we provide Specialist Palliative Care and support to you and your family in your home 24 hours a day. Referral to Hospice at Home can be made by any Health and Social care provider including hospice teams, GP, Macmillan Nurse and District Nurse. If you would like to refer yourself or a family member, please contact us in the first instance and we will discuss this further with your community services and key worker. What happens on my first visit? Whether you are the patient or a carer/family member you will have time to talk about what’s worrying you or causing you problems and how it is impacting on your life. 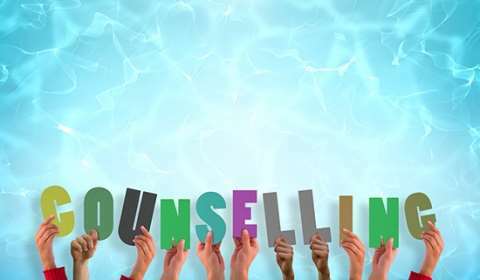 We know that you may have difficult worries and concerns. We will ensure that people with the right skills are listening. You will then have the opportunity to help us plan your care, which will be reviewed regularly. 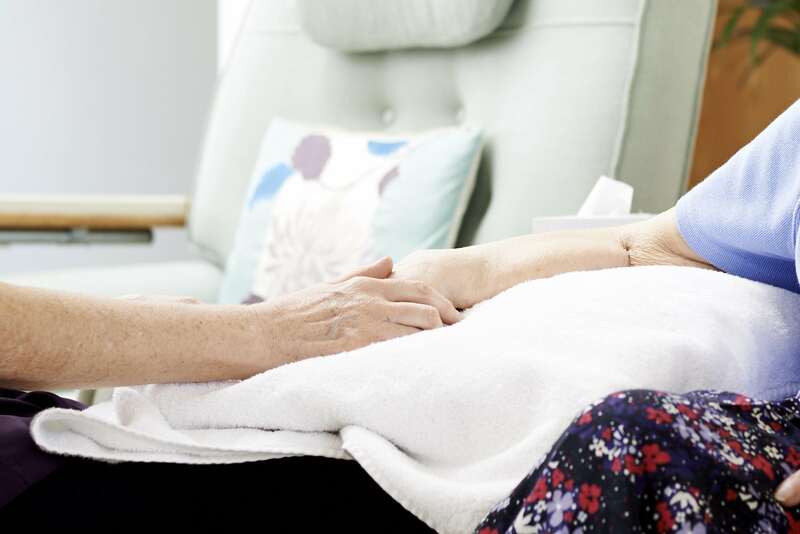 If you would like to talk to a nurse about the Hospice at Home Service, please call 01789 299426. All our services we provide are free for all our patients. All Hospice at Home patients will be given our emergency contact details so that you can be in touch with us 24 hours a day if you should need us. All our services are provided free of charge. 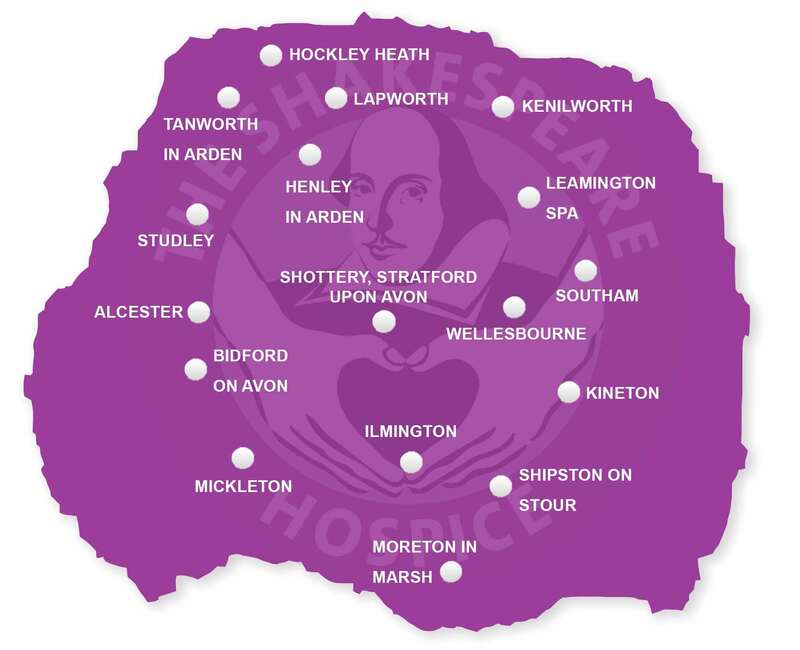 If you would like to support our cause, please visit our website: www.theshakespearehospice.org.uk. We are always looking to improve our services. If you would like to make a comment or complaint about the service you have received, please contact the hospice Macmillan Lead Nurse-Quality or Head of Clinical Services on 01789 266852 or email enquiries@theshakespearehospice.org.uk. The Day Hospice at The Shakespeare Hospice offers supportive care for patients living with a diagnosis of life limiting illness.